OAKLAND Calif. and WASHINGTON, February 8, 2018 /3BL Media/ — The annual Renewable Energy Buyers Alliance (REBA) Summit will return to the San Francisco Bay Area in 2018 — hosted in Oakland, October 14-16, ahead of GreenBiz Group’s VERGE 18 conference and expo. REBA is a coalition of leadership organizations with deep expertise in transforming energy markets: BSR’s Future of Internet Power, Rocky Mountain Institute’s Business Renewables Center, World Resources Institute’s Electricity Initiative and World Wildlife Fund’s Renewable Energy Buyers’ Principles (also supported by World Resources Institute). The coalition works with large renewable energy buyers, including corporations, universities, cities, hospitals, local agencies and others. 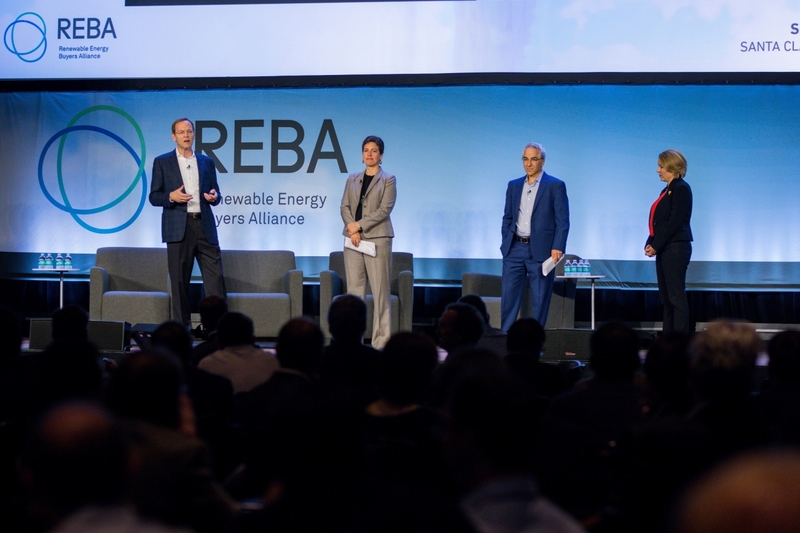 The Summit, organized by REBA and hosted by GreenBiz Group at VERGE 18, is a cornerstone of REBA’s goal to help energy buyers purchase 60 gigawatts of new renewable energy in the United States by 2025. The Summit provides the opportunity to accelerate the fast-growing market for renewable energy transactions by bringing together more than 400 renewable energy buyers and solution providers to develop new partnerships and collaboratively tackle barriers and opportunities to continue growing the market. The VERGE 18 conference and expo is the platform for accelerating the clean economy. It convenes a high-powered audience of more than 2,500 leaders — including companies and utilities, city and regional governments, policy makers, NGOs, solution providers and startups — to explore the emerging technologies and scalable solutions within three dynamic and influential markets: energy, the circular economy and transportation and mobility. The co-location of VERGE 18 and the REBA Summit provides an unparalleled opportunity for renewable energy buyers to to share challenges and explore promising opportunities with leading developers, utilities and solution providers. “Co-locating the annual REBA summit with VERGE is a breakthrough by combining two powerful networks and enabling companies who may not have seen themselves as players in the energy market to be part of the next wave of buyers. It’s a great demonstration of the power of collaboration – helping companies be fast adopters while accelerating and scaling the market transformation that is delivering a greener, more cost-effective grid for everyone,” said Kevin Hagen, Director Corporate Responsibility at Iron Mountain. "The REBA Summit hosted at VERGE was a huge success in 2017, by bringing together large energy buyers looking to learn and share the latest innovations in renewable energy procurement. Together these events create an ideal platform to accelerate the adoption of clean energy, and I look forward to attending again in 2018,” said Nicola Peill-Moelter, Senior Director of Environmental Sustainability at Akamai Technologies.